PESHAWAR -- Pakistan and Afghanistan are taking concrete steps to improve bilateral relations and to discourage militancy on both sides of the border. A high-level parliamentary delegation from Pakistan visited Afghan officials in Kabul April 29-May 1, raising hopes among observers that the two sides are opening a new chapter in co-operation. The delegation aimed to address "issues that have caused mistrust/distance" between the two countries, said Afghan Ambassador to Pakistan Omar Zakhilwal. The discussion would be "forward looking with [the] aim to find a path to improved bilateral relations with responding to our grievances & perceptions", he said April 29 via Twitter. The 17-member Pakistani delegation, comprised of representatives from across the political spectrum, was headed by National Assembly Speaker Sardar Ayaz Sadiq. "The visit was in response to an invitation from Afghan President Ashraf Ghani, and the main objective behind it was to revive relations between the two countries and address all concerns," Sadiq, a leader of the Pakistan Muslim League party, told journalists in Islamabad May 1 after returning from Kabul. "The entire political leadership of Pakistan spoke with one voice for developing a meaningful partnership between Pakistan and Afghanistan," he said, calling the visit "very successful" and expressing hope that it "would open a new chapter of bilateral relations between Pakistan and Afghanistan". "We told our Afghan brethren that Pakistan wanted to promote peace in the region and that it would continue its endeavour to obtain this objective," Sadiq said. National Assembly Member Ghulam Ahmad Bilour, of the Awami National Party, was part of the delegation. "The visit ... was very necessary and proved to be very effective in removing misunderstandings that cropped up between the two countries over border management issues," he told Pakistan Forward. Both sides spoke candidly, he said. "Afghan authorities shared their concerns over security-related issues, and we raised our complaints," Bilour said, adding that the delegation's meeting with Ghani lasted about six hours. "The discussion was very results oriented with a focus on reviving cordial relations between the two countries," he said. The discussions will "have a very long-lasting impact in improving relations and co-operation between Pakistan and Afghanistan." "Every dispute can be resolved through talks, and if we continue the practice of holding face-to-face talks, there will be no misunderstanding among us," he said. The visit is a positive step and "a harbinger of a new era of relations between the two countries", said Prof. A. Z. Hilali, chairman of the University of Peshawar political science department. Some of the delegation members had "very friendly and affable relations with their Afghan counterparts", he told Pakistan Forward. "These politicians held very open discussions with Afghan authorities and apprised them well about the importance of mutual co-operation between Pakistan and Afghanistan to maintain peace and security in the region," he said. Both Pakistan and Afghanistan are victims of terrorism and the problems faced by both countries are shared, such as insecurity, unemployment and an economic slump, among others, he said. Hilali also expressed hope that the parliamentary delegation visit would pave the way for lasting peace and friendship between the two countries. Bilateral relations started to warm earlier in April when the two sides set up a military hotline to aid border security, analysts say. 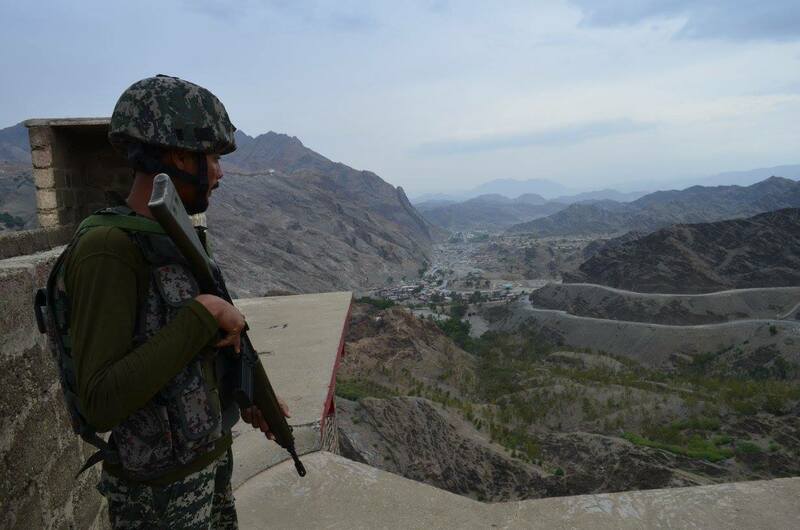 Pakistani and Afghan military officers on April 4 conversed for the first time on a dedicated hotline, discussing the border situation, Pakistan's Inter-Services Public Relations (ISPR) said. Pakistani Lt. Gen. Amir Riaz and Afghan Lt. Gen. Daud Shah Wafadar expressed satisfaction over the establishment of the hotline and vowed to hold more such conversations, according to ISPR. The hotline is "a mechanism to iron out differences on matters of common concerns", said Brig. (ret.) Mehmood Shah of Peshawar, former security secretary for the Federally Administered Tribal Areas (FATA). 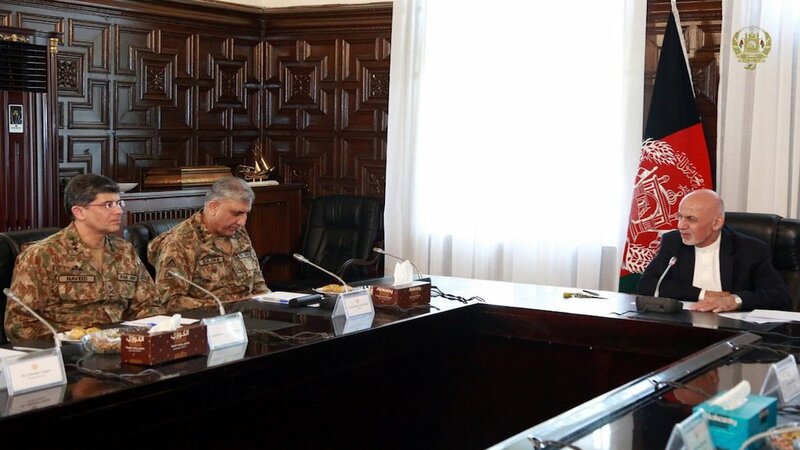 "The operational experience of the Afghan army is comparatively far less than that of its [Pakistani] counterpart, and devising strategies to address emergent problems through a secure and speedy channel will enable the two countries to build confidence in each other," Shah told Pakistan Forward. An open communication link will encourage both countries to resolve serious issues of safety, survival and establishment of peace, he said. "These efforts can produce synergistic effects, increasing the prospects of good relations," Shah said, adding that both sides must be sincere and transparent. "Relations between the two countries are improving with each passing day, which is worth praising and also a good omen as it will ... pave the way for the establishment of lasting peace in the region," Aqeel Yousafzai, a Peshawar-based security analyst, told Pakistan Forward. The two countries, whose interests are entwined because of geographical proximity, will be in a better position to co-operate after these developments, he said. "Pashtun leaders who claim respect on both sides of the border should be utilised to improve relations and imbue confidence in people", he suggested. "Improvement in relations will bring the neighbouring states closer and help them sort out solutions of their disputes, [which have] emanated from a lack of communication and mistrust," he said. Pakistani authorities also recently announced the opening of the Angoor Adda border crossing in South Waziristan, following the reopening of the Torkham border point in Khyber Agency and Chaman in Balochistan. Angoor Adda is open now, Peshawar Collector of Customs Qurban Ali told the Associated Press of Pakistan April 20. 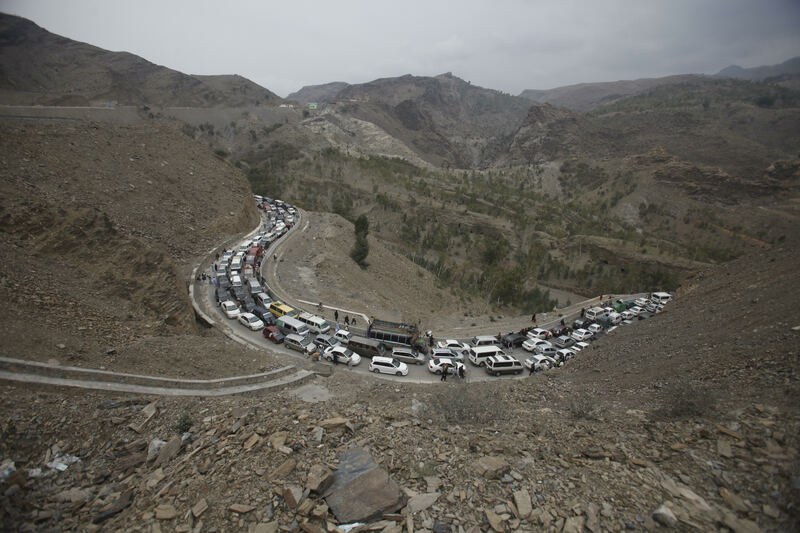 Pakistan closed its borders with Afghanistan in February over security concerns amid an uptick in terrorist attacks, stranding thousands of people and halting trade on both sides of the border. "Every country ... is directly or indirectly related with each other," Zia-ul-Haq Sarhadi, senior vice president of the Pakistan-Afghanistan Joint Chamber of Commerce and Industry, told Pakistan Forward. In this scenario, trade partners "are constantly endeavoring ... with the common objective of strengthening their economic position", he said. When the border closed between Pakistan and Afghanistan, both governments and private stakeholders "lost billions of rupees", he said. Sarhadi praised the reopening of the border and the establishment of the dedicated hotline. "Establishment of a direct communication link between the authorities of the two countries will not only help resolve minor issues on time but also build confidence among the people of two countries who share a common religion, culture and customs," he said. Militants are staunchly opposed to the brotherly relations between Pakistan and Afghanistan, so they leave no stone unturned to undercut their relations, observers say.